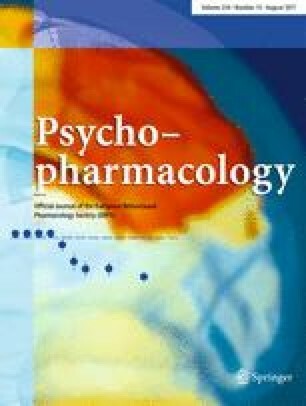 Spontaneous adventitious oral movements which are produced in rats by very chronic (6- month) neuroleptic treatment have some phenomenologic and pharmacologic characteristics in common with tardive dyskinesia in humans. However, since not all of the features match, this putative model has been questioned and further support is warranted. Data from several laboratories support dichotomizing these neuroleptic-induced rat oral movements into “low”or “not TD-like” movements and “high”or “TD-like” movements, similar to the division of neuroleptic-induced involuntary movements in humans. Here, we have used mixture analysis to test this proposal statistically in 185 haloperidol-treated and 127 water-treated animals. Rats from several different studies were grouped together to form these two cohorts. The haloperidol dose, route of administration, rating technique, and balanced experimental groups were held constant across all experiments. Results show that two distinct groups of rat movements are induced by very chronic haloperidol treatment (1.5 mg/kg per day). The “low” vacuous chewing movement (VCM) group of rats had an average of 3.6 VCMs/5 min, and the “high” VCM group had an average of 16.1 VCMs/5 min; the conrol group, with a median VCM rate of 2.0 VCMs/5 min, demonstrated a single distribution. These data suggest that rats, like humans, dichotomize into two groups either expressing or not expressing “high” VCM dyskinesias with very chronic haloperidol treatment.